The high alpine trails usually shed most of their snowy blanket around mid-July, so this trip is best taken late in July through September. 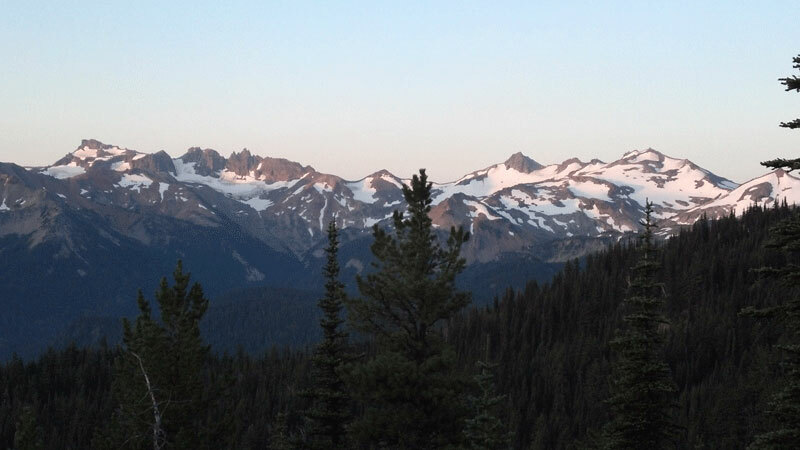 A stunning section of the Pacific Crest Trail in the Washington Cascades is The Goat Rocks Wilderness Area, which encompasses the remnants of an ancient volcano and now consists of a collection of peaks, passes, valleys, meadows, rivers, streams, lakes, and ponds. 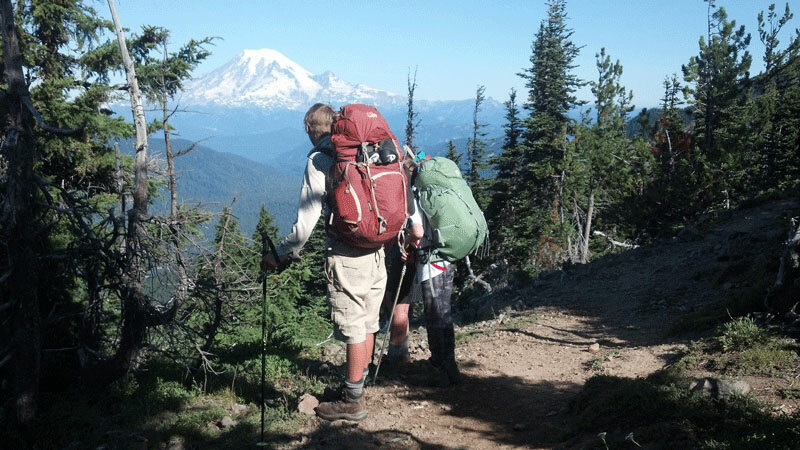 Backpacking this roadless region enables access to scenic beauty and dynamic terrain. 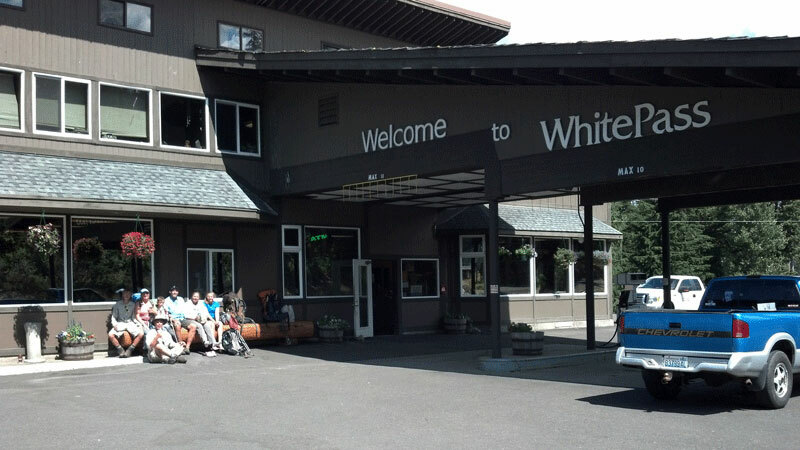 One can start at White Pass and hike south to Walupt Lake, or start at Walupt Lake and hike North to White Pass. The trail distance is about 30 miles, and while some people experience the whole distance in 1-2 days, 4 nights/5 days allows time to settle in and explore the region. The high alpine trails usually shed most of their snowy blanket around mid-July, so the trip is best taken late in July through September. 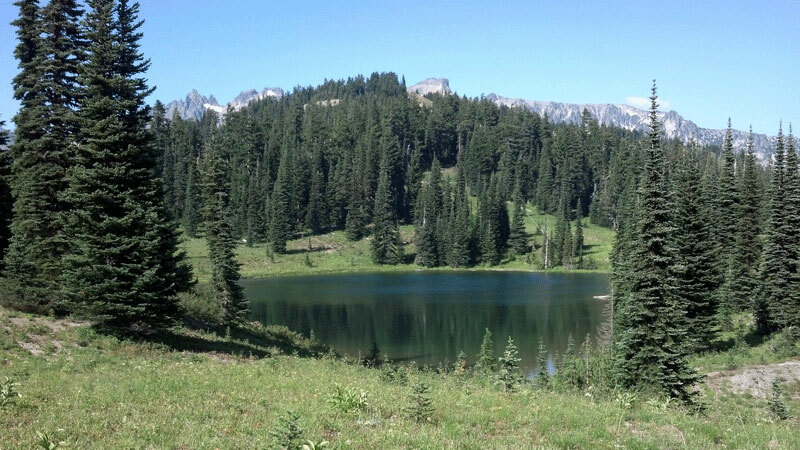 The 4 night/5 day trip featured here began at Walupt Lake and ended at White Pass with camps along the way near Sheep Lake, Snowgrass Flats, McCall Basin, and Shoe Lake (note: Wilderness Regulations apply--camping is not allowed at Snowgrass Flats or in the Shoe Lake Basin). 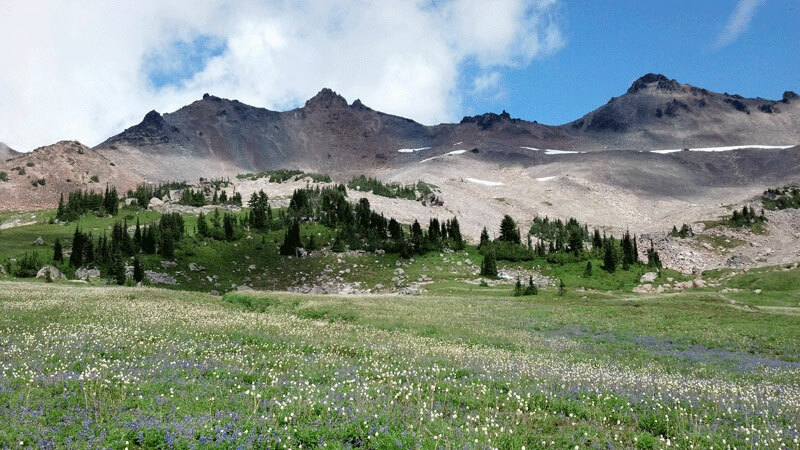 The trail from Walupt Lake takes a route up Nanny Ridge to vistas of the Goat Rocks and flower-filled meadows. 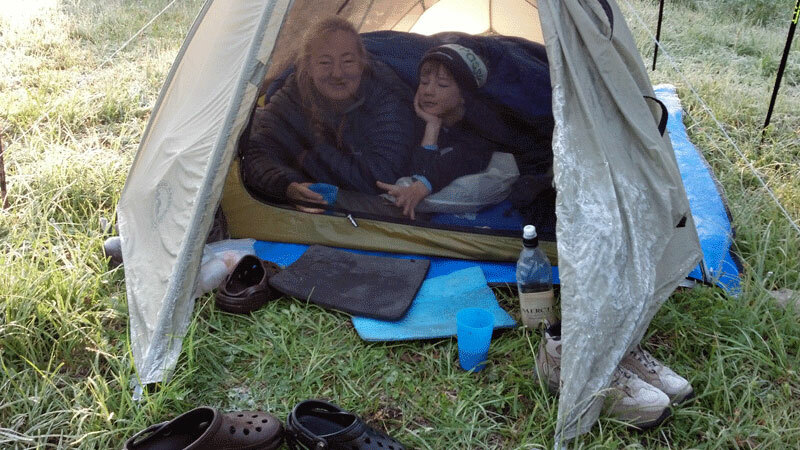 The Sheep Lake area is a welcome place to spend the first night under the stars! 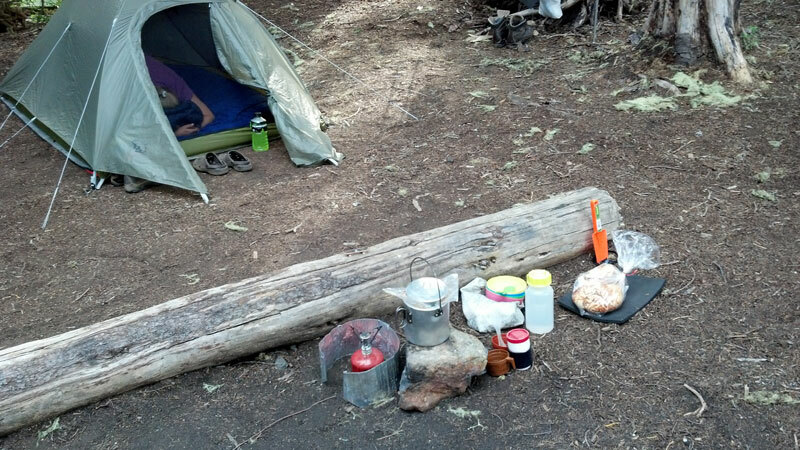 Lightweight stove and cooking gear prepare water for hot drinks and instant meals. The ease of preparation is appreciated after a day out on the trail. Favorite dinners for our group included Chili Mac, Chicken and Rice, and Beef Stroganoff, along with hot cocoa and spiced cider! From Sheep Lake, the trail climbs and descends Cispus Pass and follows valley contours, crossing small streams lined with wildflowers. 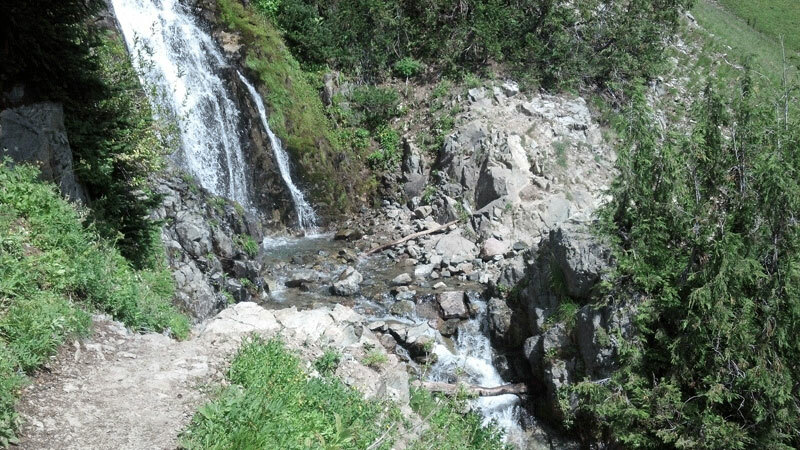 Eventually, a waterfall tumbles over rock, revealing geologic history and offering a cool rest stop. There’s nothing like dunking your cap (or your head) before continuing the journey! 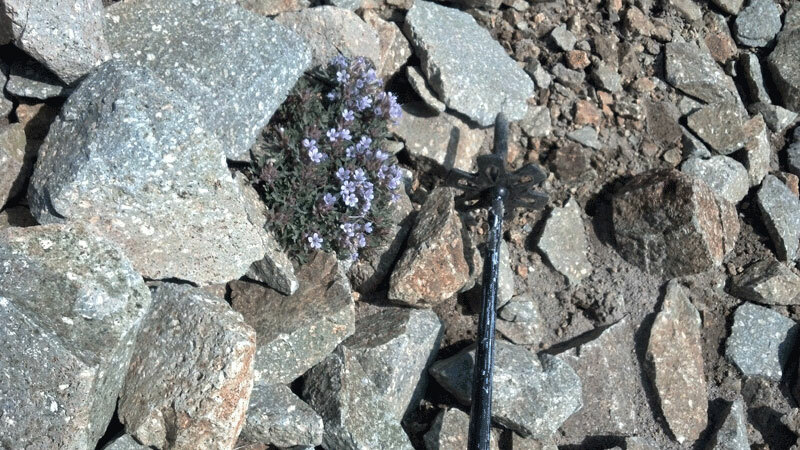 Hearty miniature alpine flowers open on the edge of the snowfields. This ski pole is handy for use as a trekking pole in the summer! The Snowgrass Flats area has magnificent terraces, carpeted with flowers and dotted with stands of high alpine trees, offering many opportunities to photograph trail-side memories. It is tempting to spend an extra day here! 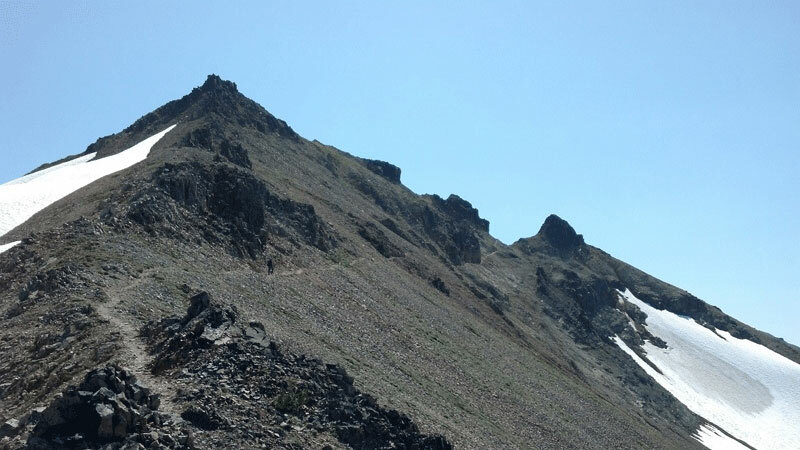 Marmots whistle and sit in the sun atop rocks as we ascend toward Old Snowy. The Pacific Crest Trail crosses the west face of the peak and the views from this area are a highlight of the entire trip. Weather and trail conditions change swiftly here, so be prepared by checking the forecast and current trail condition reports before committing to this section of the trail! The equipment available today for backpacking has become very lightweight. For example, this tent weighs just 3 pounds and sleeps 2 adults comfortably. At our McCall Basin camp, we awoke to early August frost and smiled knowing that it was a sign of the end of bug season. The early risers spotted a herd of elk, but coffee and cocoa delivered to the tent was a nice surprise, too! 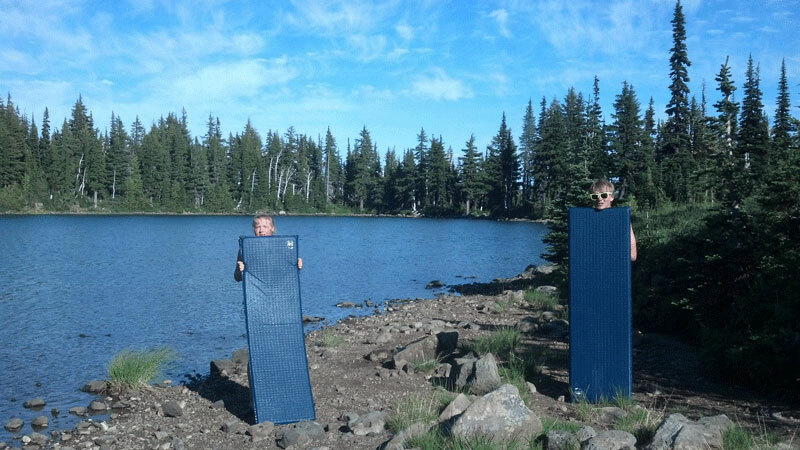 A quick dip after a hot day on the trail is so appreciated! 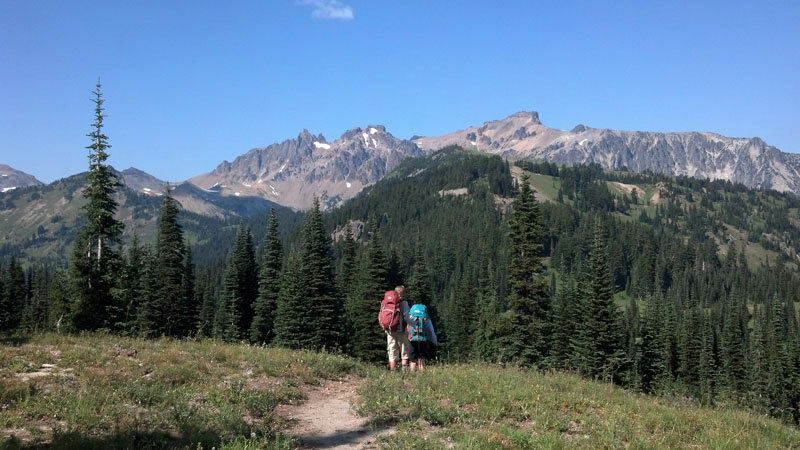 Looking back at the Goat Rocks--a perfect time to reflect after a few days on the trail. Headed for White Pass, we encounter a view looking north to Mt. Rainier. 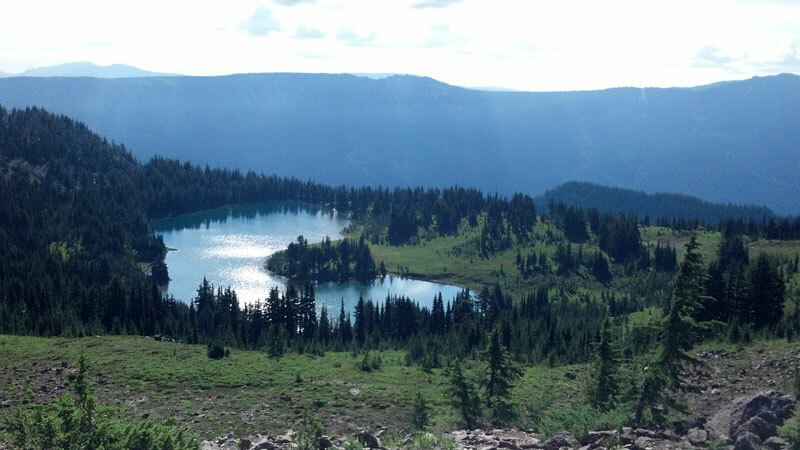 Taking one more look back, we see Shoe Lake and the surrounding alpine landscape. After descending the White Pass Ski Area to Hwy 12, ice cream and cold beverages at the Kracker Barrel store were a welcome treat, followed by a stay at the White Pass Village Inn where we enjoyed a hot shower, a fresh garden salad made at the Kracker Barrel, hamburgers on the barbeque, and a leisurely swim in the pool!